Richard Stone, former principal deputy undersecretary of health at the Department of Veterans Affairs, has been named acting head of the Veterans Health Administration, Military Times reported Tuesday. Peter O’Rourke, acting VA secretary, announced Tuesday that Stone will serve as VHA’s executive-in-charge and succeed Carolyn Clancy, who will transition to a new position at VHA that is focused on research and development and innovation. Stone will be the third interim chief to oversee the department’s health operations since David Shulkin stepped down from the Senate-confirmed post in February 2017. Prior to his return to the department, Stone worked at Booz Allen Hamilton as vice president with oversight on military health issues. 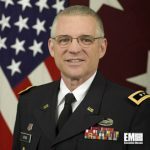 He is a U.S. Army veteran who previously served as the military branch’s deputy surgeon general, deputy commanding general for the Army Medical Command and head of the operations cell of the Defense Health Agency’s transition team that performed business process reengineering work for 10 shared services initiatives. Stone is a practicing dermatologist with civilian health care experience.